During my visit to Nigeria during the 2019 elections, I gave three presentations on my new book about Nigeria’s 2015 elections, Contemporary Nigerian Politics: Competition in a Time of Transition and Terror. I encountered the most rigorous, interesting and challenging set of questions I have ever faced from public audiences. To get a sense of the discourse, watch the video of my presentation at Nextier SPD consulting in Abuja. Here is a sampling of some of the questions. I hope my answers here clarify and elaborate on my previous answers, and contribute to the formation of a new research agenda on electoral politics in Africa. My apologies for any abbreviations or potential misrepresentations; please comment to continue the dialogue. For those of you considering the book for course adoption, this list can serve as a resource for developing your lectures. I am not convinced that you demonstrate that the People’s Democratic Party (PDP) engaged in “coup proofing” after the 1999 transition. The concept of “coup proofing” is used by Jonathan Powell in his article, “Determinants of the Attempting and Outcomes of Coups d’etat.” It refers to the idea that reassuring the military is an important part of many regime transitions. This is important to my study since I write about “pacts” – explicit, though not necessarily formalized, elite agreements that shape the boundaries and rules of governance. The case against coup proofing might note President Obasanjo’s firings and forced retirings in 1999-2001. This would suggest that the new civilian regime was reigning in the military. As a former war hero and military dictator, Obasanjo had unique credibility with the military and thus some political latitude. However, Chapter 2 documents how the incoming PDP, as part of a “dual policy” toward the military, also gave the generals important reassurances. This included neglect of important, huge corruption cases, a weak truth and reconciliation committee (whose top pick was apparently assassinated), the promotion – rather than prosecution – of high level individuals implicated in abuses, and an increase in the military budget from about $790 million dollars in 1998 to over 2.2 billion dollars in 2002. Furthermore, Obasanjo promoted nearly 900 officers just weeks before his second oath of office. Taken together, these actions provide a good basis for coup proofing. It worked…but it imposed costs on democracy, which I explore in Chapter 6. Why didn’t you look at party manifestoes? How important is a candidate’s personality? Party manifestos can provide information about party ideas. There’s some good new research on manifestoes in Nigeria, including Political Parties and Democracy in Nigeria, edited by Olu Obafemi, Samuel, Egwu, Okechukwu Ibeanu, and Jibrin Ibrahim (Kuru: National Institute for Policy and Strategic Studies, 2014.) It generally suggests that the manifestos don’t amount to much. By documenting what the parties actually talked about in 2015 in chapter 3, I think we get a better sense of how they set their priorities. And since there is a high level of conformity across the elites within each party in the coded responses, we have a decent basis to believe they coordinated their messages. Plus, that’s basically what several state party leaders and activists told me in interviews. Regarding personalities, a charismatic candidate obviously has advantages, but it’s also likely that a good party structure can help compensate for a candidate lacking such strong appeal. There are too many unheard voices in politics. Should Nigeria have a proportional representation (PR) system? 2019 turned into a surprisingly bad election year for women, and I can see something like PR perhaps helping a women’s party into the National Assembly. However, it is also quite likely that it would produce a Shiite party, and a Biafra party, and….you get the idea. Moreover, it is difficult to have PR with a presidential system because the executive has to cobble together a coalition across parties for every legislative initiative; we know this from comparative research on Latin America, for example. To fix that, you could have a parliamentary system. Nigeria tried that with the First Republic, and it didn’t go so well. A trend after the collapse of the Soviet Union was for some countries to have it both ways, with some legislators chosen through PR and others based on geography. That might be something to consider. 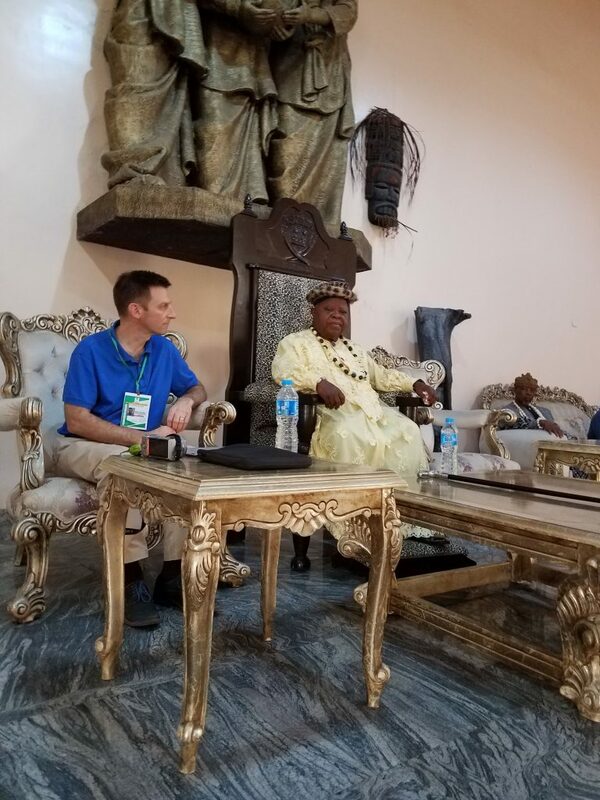 Meeting with the Paramount Ruler of Uyo, February 2019. You have a very narrow western view of the state. You reference ideology, but ideology is a function of material conditions. I can appreciate that there were alternative modes of governance in Africa. Nonso Obikili has a good chapter on state building in my new co-edited Oxford Handbook of Nigerian Politics, which describes some of those histories and their linkages to modern Nigeria. Katherine Baldwin’s recent book convincingly shows that traditional rulers remain very politically relevant in Africa; the old state models are still around. But scholars such as Jeffrey Herbst (2000) argue that African leaders explicitly bought in to the modern, Weberian state and the Berlin Conference borders when they got together and formed the predecessor to the African Union. When the Nigerian military tries to reclaim local governments taken by Boko Haram, it is asserting control over space and people in ways consistent with a “western” notion of a state. It is also interesting to consider the variety of sources of ideology, which is quite often not a function of material conditions. Salafism comes to mind (see Alex Thurston’s recent book), as does the rise of “post-materialism” in developed countries. This latter idea, explored in the work of Pippa Norris and Robert Inglehart, shows that once people reach a certain level of material well-being, they are much more likely to care about the environment, secularism, and other issues. Different ideologies are then based on demographics and other characteristics. What is your theory of the demographic shift? You suggest that it contributed to the decline of the PDP, but you don’t really show that. It’s part of the story of the decline of the PDP told in Chapter 2: Nigeria has a young population with one of the highest growth rates in the world, but the average age in the House and Senate increased with each successive election since 1999. It’s one data point that makes sense alongside other factors, such as the suffocated ambition that contributed to the massive wave of party defections in 2014. I hope that it is an invitation to new research on “slow moving” variables such as inter-generational change in Nigeria. I did meet with YIAGA and youth groups as part of my research. But I can’t say we have much of a theory yet about demographic age gaps and their broader political impacts yet. Didn’t PDP lose in 2015 because of ethnicity, because they ran a southern candidate? Maybe. That’s the obvious counter-factual, and it is a compelling one since President Jonathan was a southern Christian and many northerners felt it was their “turn” to rule. But I’m not sure that the hypothetical northern candidate would have had broad appeal across the south, which would have been necessary to win. It’s also somewhat encouraging to look at the map of states in Chapter 5 which shows the distribution of states where the candidate got at least 25 percent. Finally, it is interesting that the survey data shows that 14 percent of Muslims voted for Jonathan – and that there are more Christians in the north than anecdotal knowledge suggests. Your content analysis ignores informal campaign structures. Not exactly. The coding of campaign comments by party elites covers a broad range of topics, which are then aggregated into five main issues. If party elites were not talking about issues at all, I did not to code the comment; the methodology is explained in the book. Two things are important: first, after dropping these comments, the PDP had less media coverage compared the APC. Second, the PDP lost in 2015. So the informal campaign strategies – attending funerals and weddings, or ranting about colonialism in the opinion pages – were not very effective for the PDP. They would have been better off talking about reducing gender disparities in school enrollment or highlighting recent economic diversification. Your content analysis is not accurate because it does not include local radio or social media. This has come up a lot. I did a content analysis in 2010 (in Africa Today) that included radio and print, so it is possible. But when you are talking about a presidential campaign, it is reasonable to assume that when the candidate makes a comment, that comment is quoted across different mediums. This would not be the case if we were talking about a lower profile person. Nor does my analysis necessarily exclude local issues, such as coded local language meant to appeal to a region. For example, Jonathan might go to the Niger Delta, the oil producing region, and say “resource control.” But because we talking about a national campaign, those comments become smaller data points in the overall picture because the goal is to win a national office: the presidency. Finally, I think 2,390 articles from three different newspapers produced a representative sample of the campaign content. Would this analysis of campaigns hold at the state level? Probably not, and that would be a great project. Michelle Kuenzi and Gina Lambright did a rigorous and unique study of gubernatorial rhetoric in the 2007 elections. Governors have to talk about different things to get elected, and after 20 year of democracy, we still know little about their actual linkages to the center. The topic is ripe for research. I would start with a good empirical analysis of coattail effects to see how running on the same ticket as the president affects the governor’s likelihood of winning. 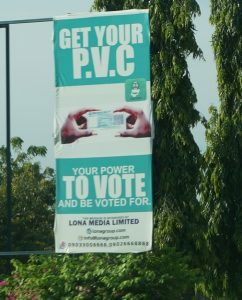 But even that would be hard because of “split ticket” voting in Nigeria, where a voter votes for one party for governor and another for president. This was common in 2003. What does your analysis tell us about which kinds of communication are actually effective? How would your research design differ if the book was about 2019? Evaluating effectiveness of different rhetoric techniques would probably require some sort of additional “discourse” analysis. 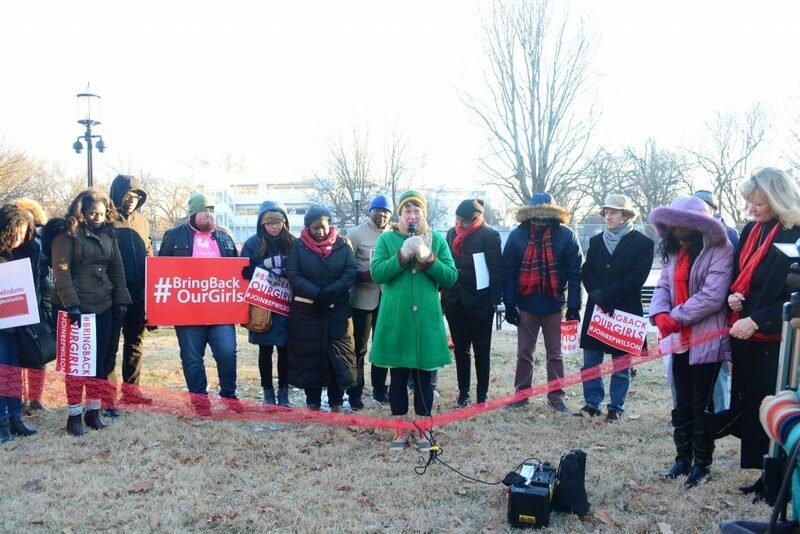 The brief discussion of #BringBackOurGirls in the book suggests that the PDP’s rhetoric and messaging were both ineffective and counterproductive. I do show in Chapter 3 that the parties systematically talked about different things. The statistical analysis in Chapter 4 then shows that the party that got more votes across states – the APC – actually emphasized those same clusters of issues: the economy, corruption, and electoral integrity. A study of the 2019 elections would require a rather different research design. I would likely want to look at social media’s “amplification effects” rather than the content of campaigns. And maybe how different sources of news shaped voter preferences differently. Illiterate people tend to vote on ethnicity or religion. Their understanding of politics is simple and issues don’t really matter to them. From the slums of Port-au-Prince to the forests of Adamawa State, that has not been my experience. Poor people may operate on different “information shortcuts” and they might use simple language. But they often have relatively sophisticated ideas about politics. Chapters 4 and 5 show that lower income people overwhelmingly voted for Buhari in 2015, as did people with more negative perceptions of economic performance over the previous year. This is consistent with a study that I did with Matthew Page and Yoonbin Ha, published in Review of African Political Economy, using slightly different data. The big question in Nigeria is where the new middle class stands, and what it is willing to tolerate from the current political class. What about “group think”? It seems to be a missing link in your causal story. Great point. With regard to the tests on insecurity, I do draw from social psychology research and ideas of “affective intelligence theory,” which suggests that traumatic incidents create a heightened sense of political awareness or scrutiny. (We might observe these effects, for example, with increased voter turnout or incumbent vulnerability.) This is less explicit with regard to the hypotheses examining economic voting, but given the winning candidates’ consistent messaging, group think of some kind is a reasonable idea. How did the two major parties in 2015 approach gender differently? It’s hard to say without going back and re-reading what they said, with that question in mind. My main point for now is that it is an unclaimed issue. I believe a coherent party agenda around women’s issue priorities, and the recruitment of more women mainstreamed into the party, can help that party win. Neither party in 2015 understood this, and PDP made a mistake by not sufficiently emphasizing the progress Jonathan’s administration made in girls’ education and several other gender indicators. Looking to the future, I would also hope to see research about how Internally Displaced Persons are likely to disrupt conservative social structures in the northeast. There are millions of women and girls who have now practiced leadership through the necessity of survival, often without the usual patriarchical structures around. What will they do with these skills and expectations once the war is over? Research by Hilary Matfess raises important questions along these lines. You assume that the Independent National Electoral Commission was transparent. I disagree. I do not think INEC was or is sufficiently transparent. The law requires all the electoral results to be published down to the polling unit level. Where are they? And why haven’t the donors (or civil society) made post-election information management a higher priority for technical assistance? I do discuss two important things: in Chapter 3, I show that the APC promised better and more transparent primaries, and it campaigned on electoral integrity more than the PDP. Other scholars such as Darren Kew had already noted this; I provide some additional empirical evidence. Second, in Chapter 5, using a statistically sampled nationwide survey, I show that PDP supporters were less skeptical of INEC. The APC’s skepticism corresponded with its promises for electoral integrity. Can there be a “third force” in politics? Does Nigeria need one? It’s hard to imagine an independent candidacy or a third party being successful for the foreseeable future. The two largest parties got 95 percent of the vote in 2015, and this is the culmination of a long trend in that direction. I know many people in Nigeria support independent candidates. But who would be viable? A really, really rich person. I also think the constitutional requirement to have a presence across the states is a good one, and hard requirement for an independent candidate to meet. I think popular movements such as #BringBackOurGirls or campaigns like #NotTooYoungtoRun are the building blocks of reforms. If such movements can build real momentum, with a nationwide presence and the ability to make vertically integrated decisions with a grassroots base, I can see them pushing their way into a party and shaping it. But they also have to identify new winning issues. I am running for president in 2023. Does populism win? It does for now. But as we have seen in Venezuela, and as we will soon see in the United States, it is hard to sustain. Don’t formulate your platform yet. This entry was posted in . on February 24, 2019 by Dr. Carl. The political transformation in Ethiopia since early 2018 captured many by surprise. The recent changes followed a period of sustained protests against mounting state repression that lasted for at least three years (2015-2018). Thousands of political prisoners have been released, individuals, groups and political organizations in exile have been pardoned and returned to the country, and a modicum of freedom of expression and the press appears to be re-emerging. A major regional hostility in the Horn of Africa that lasted for about 20 years involving the Eritrean regime and its Ethiopian counterpart has been resolved unexpectedly, mainly due to bold initiative taken by the new Ethiopian Prime Minster, Abiy Ahmed. The new EPRDF (Ethiopian People’s Revolutionary Democratic Front) group led by the Abiy Ahmed since April 2018 has been actively working to reform the state in Ethiopia. However, attempts to reform have been accompanied by promises as well as profound concerns among the population. For example, the dramatic ease in the archetype political control of the country spearheaded by the former Tigray People’s Liberation Front (TPLF) dominated EPRDF before 2018, has since been eroded. But as it has been replaced by a group of EPRDF reformers making dramatic changes in rhetoric and making several reconciliatory moves, new trajectories of tensions have been emerging in different parts of the country. “Ethnic conflicts” reported from remote parts of Ethiopia over the decades appear to have now reached the central plains. One of the key challenges during this era of reform has since been a wave of internal displacement. This includes about a million people from the Ogaden region of Ethiopia in the East starting late 2017, perhaps half a million from the Guji & Gedeo regions in the South, a quarter of a million from the Benishangul-Gumuz and Wollega in the west, and thousands more from several parts of the country including in the north. In line with these, in August 2018, months after the coming into power of Abiy Ahmed, following tensions between groups supporting two armed political organizations which returned after a peace deal in Asmara, Eritrea, clashed in and around Addis Ababa, the effect of which led to deaths, and displacement of thousands of people most of whom were reported to have returned to their homes. In December 2018, Abiy appeared in military uniform to announce the formation of a “Republican Guard” meant to protect state officials and their families. This is a sign that Ethiopian politics remains full of both hope and uncertainty. Solomon Gofie is Associate Professor at the Department of Political Science and International Relations at Addis Ababa University, Ethiopia. He teaches courses in contemporary global politics & transnationalsim, international relations and international human rights and politics in Africa. His research interests include state-society relations and the politics of human rights, citizenship and political communities in Africa, migration and transnational involvement in Africa, conflict dynamics and conflict resolution. This entry was posted in . on January 11, 2019 by Dr. Carl. 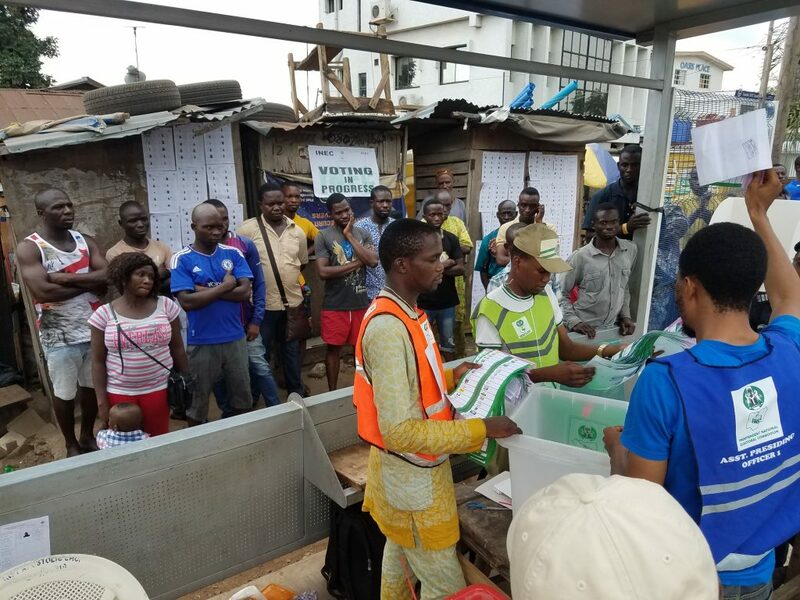 Nigeria’s presidential election is now in full swing, with President Muhammadu Buhari of the All Progressives Congress (APC) running for re-election. The People’s Democratic Party (PDP) recently chose former Vice President, Atiku Abubakar, as its candidate. Recent polling suggests that Africa’s most populous democracy is headed for a close contest, and a detailed analysis of the 2015 campaign in my new book offers some important lessons for parties in 2019. Data from NOI Polls make clear that Buhari enjoyed a rather brief honeymoon after his election. 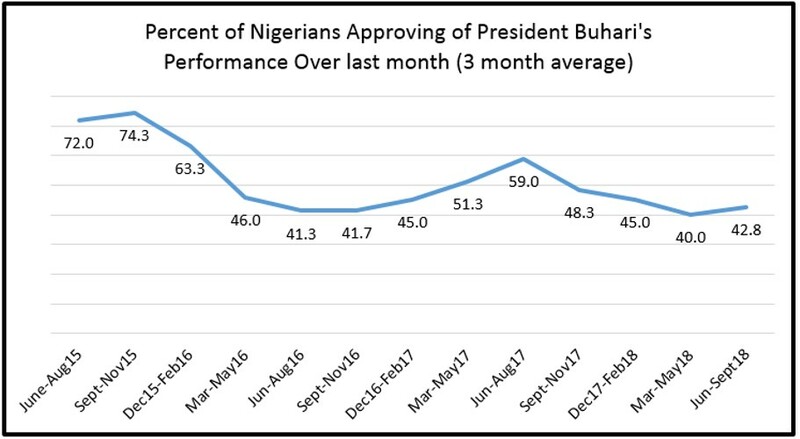 Every month since he took the oath in 2015, Nigerians were asked whether they approved or disapproved of his performance; the graph below breaks it down into three-month averages. In the most recent September poll, Nigerians are evenly split, with 43% approving and 42% disapproving of Buhari. Importantly, 15% are undecided. Can the PDP capture that 15% and convert voters now loyal to Buhari? If it did, this would be Nigeria’s second “electoral turnover,” which comparative research associates with democratic consolidation. In 2019, the two candidates will have to rely on issues, ideas and other tools for motivating and mobilizing voters. Nigeria is thus embarking on an important experiment in its political campaigns: without an electoral strategy drawing upon religion or large regional cleavages (north and south), how will the PDP distinguish itself from the APC? And what are Buhari’s best chances for holding on to power? As in 2015, the incumbent party is vulnerable on the economy. The initial dip in Buhari’s approval ratings (above) corresponded with a deep recession; Nigeria’s economy contracted by 1.6 percent in 2016. Though oil prices have recovered, and the World Bank’s forecast for 2018 is about 2.1 percent GDP growth, this is hardly a strong basis for a re-election campaign, and inflation remains high – around 11 percent. Can the PDP win with “economic voters”? Yet the opportunity for the PDP to run on the economy, as the APC did in 2015 (according to my analysis of campaign rhetoric), is not a simple strategy for two reasons. First, my statistical analysis of voting outcomes across states in 2015 found that citizens’ evaluation of past economic performance, their self-reported level of wealth, and their expectations for which party would improve the economy, all strongly correlated with voting intentions in 2015. In short, poorer, more economically pessimistic voters rallied to the opposition candidate, Buhari. But it is not clear that Nigerians are turning on Buhari’s approach to the economy: an Afrobarometer survey conducted April-May 2017 reported that while 60% said the country’s economy condition was “very bad” or “fairly bad,” a similar number (57%) described their own subjective position as “fairly good” or “very good.” Moreover, 82% believed the economy would get “better” or “much better” over the next 12 months. Though this last question on economic hope is not framed with two alternative candidates like the survey data I used, the incongruity between these indicators (subjective condition vs. future economic performance) is notable here since they performed similarly in my empirical analysis of voting in 2015. 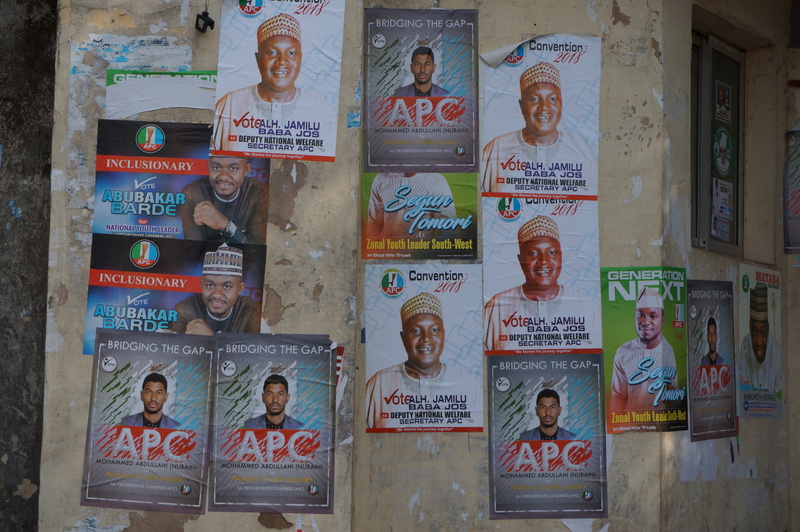 Posters from the APC convention in 2018. Second, Buhari apparently remains credible on anti-corruption. That same Afrobarometer poll reported that 59 percent of Nigerians believe Buhari’s government is doing “fairly well” or “very well” fighting corruption. BudgIT, the transparency and corruption civil society watchdog, noted this June: “For the second time within a month, Justice Adebukola Banjoko sentenced another ex-Governor, Joshua Dariye, to imprisonment. He is to serve 14 years in jail. Jolly Nyame of Taraba State received an equal sentence.” Though there was a curious delay in delivering on the sentence, they are both now in reportedly prison — a rare victory for rule of law in Nigeria. The problem for Buhari is that in contrast to 2015, the economy overall, rather than corruption specifically, appears to be a much higher priority for citizens. For example, in a January 2015 US Government-sponsored survey, respondents ranked corruption second – after insecurity – in an open-ended question asking about the country’s top priorities (about 20% compared to 39% for insecurity). However, in the 2017 Afrobarometer survey, insecurity was not even a blip in response to an open ended question about the biggest challenges facing Nigeria. Instead, 53% mentioned unemployment and 35% management of the economy; corruption came in fifth, (with 23% mentioning it somewhere among their three top concerns). 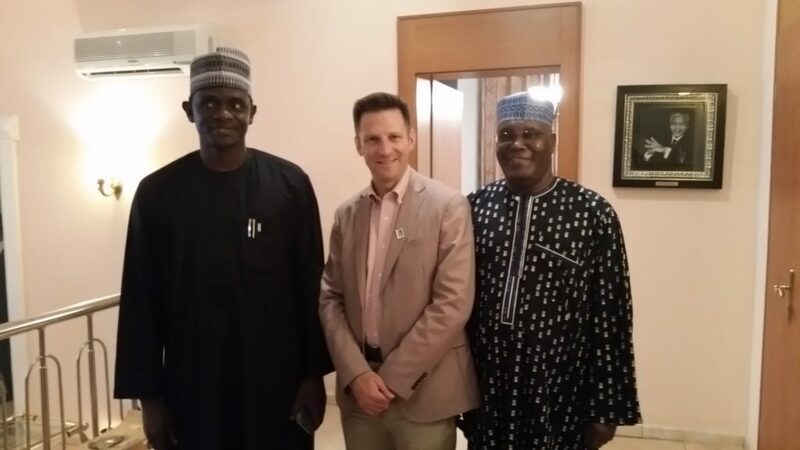 In 2016 I interviewed Atiku Abubakar for my new book from Cambridge University Press,, “Contemporary Nigerian Politics.” At the time he was a member of the APC. Changing parties three times since 1999 could be a factor that challenges his credibility in the 2019 presidential election. This means that Buhari will likely retain an advantage over the PDP when it comes to campaigning on corruption. But corruption so far seems less important than strongly negative assessments of the economy overall. And on this, Atiku’s status as a civilian entrepreneur just might provide the right contrast with the ex-general. Finally, it is worth nothing that Atiku’s pick of a former governor from the southeast, Peter Obi, was a clever move. Despite the opinion, popular among ethnic Igbos, that Buhari has a “northern agenda” and he is secretly in cahoots with Fulani pastoralists, PDP politicians I interviewed in Imo and Aba planned to support a northern candidate in order to beat Buhari. (Meaning, not all northerners carry the “northern” agenda.) This however comes with an understanding that the Igbos will “have a turn” in 2023. As we saw in 2015, when Goodluck Jonathan decided to run for re-election after supposedly agreeing in 2011 not to do so, this is a tough bargain to enforce. To learn more about those bargains, check out Chapter 2 of my new book, which details the “pacts” that facilitated the 1998-99 transition. For example, PDP elites agreed upon the idea that the presidency should alternate between north and south. I conclude that the erosion of those deals weakened the PDP heading into 2015. 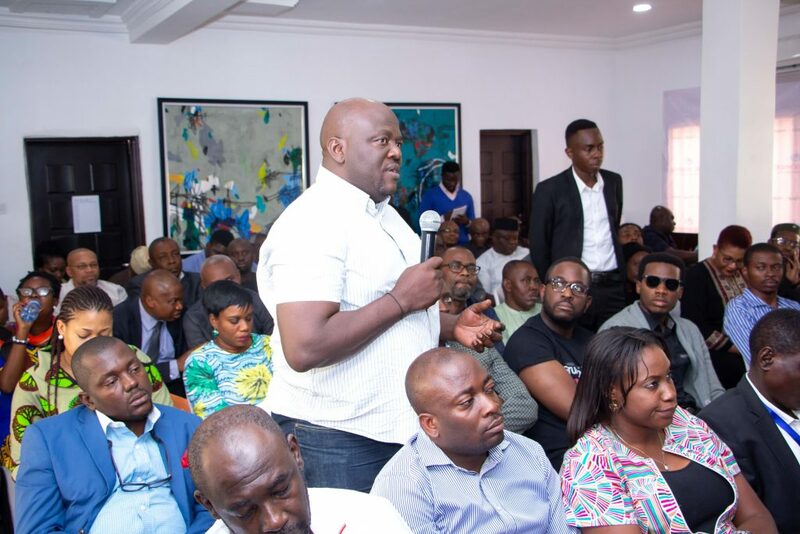 Once again, the PDP will have to weigh the tradeoffs between in the principle of fairness advanced by rotating the presidency on the one hand, and Nigerians’ demands for open competition on the other. I am pleased to share this important message from American civil society groups regarding Buhari’s meeting with Trump. The Nigeria Working Group is made up of diverse organizations who work in advocacy, human rights, direct humanitarian relief, peacebuilding, and various other technical sectors committed to supporting a fruitful and constructive relationship between the United States and Nigeria to promote development and peace. Nigeria is a strong ally for the United States with social, political, and economic influence across the continent. We are concerned with the current state of conflict in Nigeria and look forward for the opportunity for President Trump and President Buhari to strengthen their commitment to preventing and ending violence in Nigeria. Safe return of refugees and internally displaced persons: To ensure safe return of displaced persons requires access by humanitarian actors, clear reporting on the security status of the area of return, and measures to support adequate food and medical provisions for the returning populations. Individuals who have returned or escaped abduction should be provided with necessary care and have access to family members during this process. Alongside and incorporated into humanitarian assistance, there needs to be specific attention paid to reconciliation and reintegration efforts. Limited attention to rebuilding community relationships risks reversing successes made in the fight against Boko Haram and creates conditions for the escalation of social conflict in this fragile context. Robust and effective response to the ongoing violence of Boko Haram: A multifaceted response that includes accountability and a commitment to the practice of good governance is critical for defeating the insurgency and rehabilitating communities in crisis. Deradicalization, reintegration, and rehabilitation of former Boko Haram combatants must be coordinated, strategic, and locally-led, with a clear vision for long-term success. These efforts should also go beyond focusing on individual fighters and also focus on community and economic stability and resilience. Addressing root drivers of inter-communal conflict in the Middle Belt: Violence between farming and herding communities in the Middle Belt continues to escalate, with over 170,000 people displaced from Benue state alone since December. Increasing attacks and high-level calls for Nigerians to ‘rise up and defend themselves’ threatens to intensify violence in other states and export instability to other regions of the country and to bordering countries. The Middle Belt is the food basket of Nigeria and continued violence not only threatens human lives, but the food production and security of the country. There needs to be support to local platforms that link up to state and national level responses to address conflict drivers and triggers and to manage conflicts in their community. At the same time, there needs to be a coordinated effort to lessen inflammatory rhetoric around attacks, build trust between communities and the government, and promote messages of peace. This meeting comes at a critical time for Nigeria’s future and we welcome the opportunity to discuss many important issues for the future of the partnership between Nigeria and the United States. Many significant gains have been made in combatting Boko Haram and building community platforms for peace, but there must be continued engagement to sustain and expand this progress. As we look at promoting development, growth, and peace in West Africa, Nigeria and the United States must jointly promote a holistic strategy to prevent violence within its borders. As a working group and individual organizations, we stand ready to assist in promoting this strategy and welcome further engagement on these and other issues of great importance for both Nigeria and the United States. This entry was posted in . on April 29, 2018 by Dr. Carl.